Buckingham offers bi-weekly curbside single sort recycling pick up to all of our residential customers in Prior Lake, Savage, Burnsville, rural Shakopee, rural Jordan, parts of Eden Prairie, parts of Lakeville and Elko/New Market. Buckingham opened the first recycling center in Scott County! We accept scrap metal, paper, plastic (recycle numbers 1-7), drain oil and automotive batteries free of charge for existing customers. 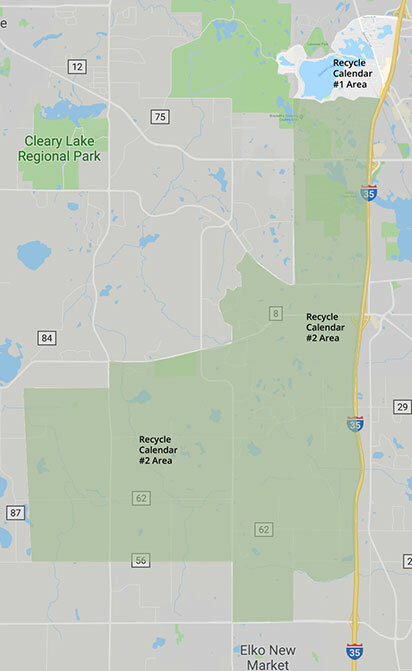 Appliances, tires, furniture and trash are taken for a fee. We also pay cash for aluminum! 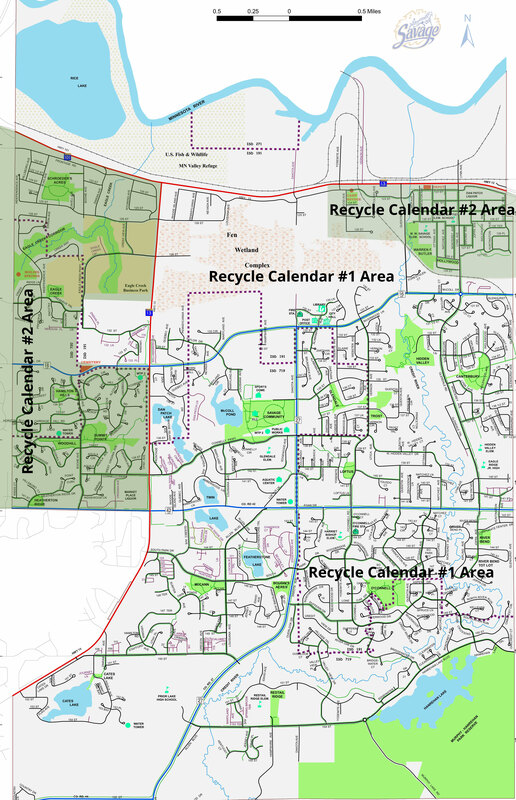 If your trash pickup day is a Monday, then you are scheduled on recycle calendar #2. 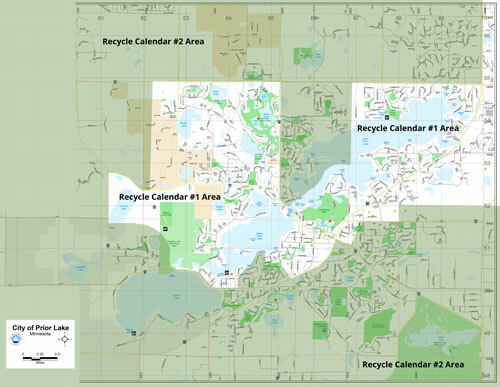 Every other trash pickup day is scheduled according to recycle calendar #1. 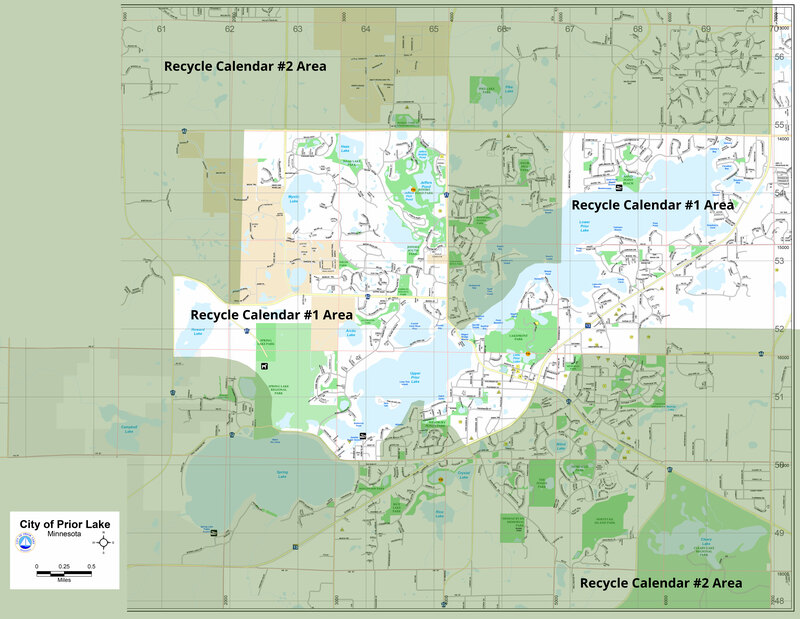 Your schedule will be according to recycle calendar #2.